KnitMesh Technologies mesh exhaust decoupling rings are used in decoupling joints and load support assemblies to absorb vibration, take-up thermal expansion and reduce noise. Mesh bellows sleeves reduce vibration and noise. Today’s transverse-mounted engines generate high levels of vibration and therefore require a robust jointing system between the engine manifold and exhaust system that is capable of withstanding the stresses involved. 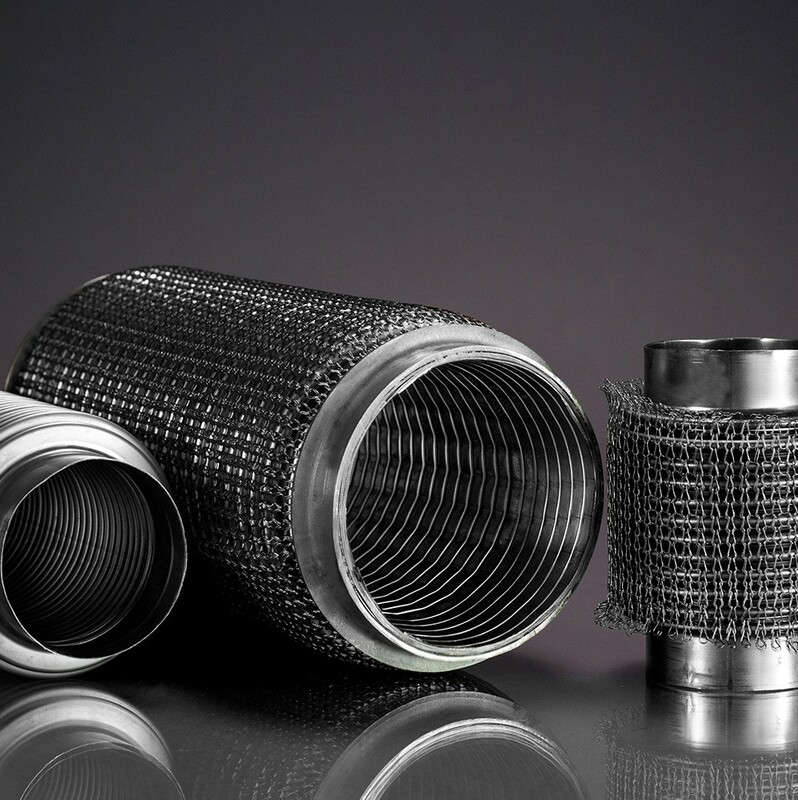 With their unique structure, knitted mesh rings have the ability to withstand the harsh exhaust gas environment endured by exhaust components. As a result, they provide decoupler manufacturers with an ideal solution to the problem of energy absorption. Mesh exhaust decoupling rings are constructed from corrosion-resistant stainless steel and can be produced in a cylindrical configuration or shaped to suit the decoupler housing as required. Flexible tube assemblies can benefit from having a low-cost mesh sleeving positioned either under or over the braid to reduce vibration and noise. Mesh sleeves can also protect the tube assembly from abrasion and, in many instances, enable the braid coverage to be reduced. This can lead to cost savings. KnitMesh Technologies uses state of the art test equipment to test mesh sleeving over millions of cycles.